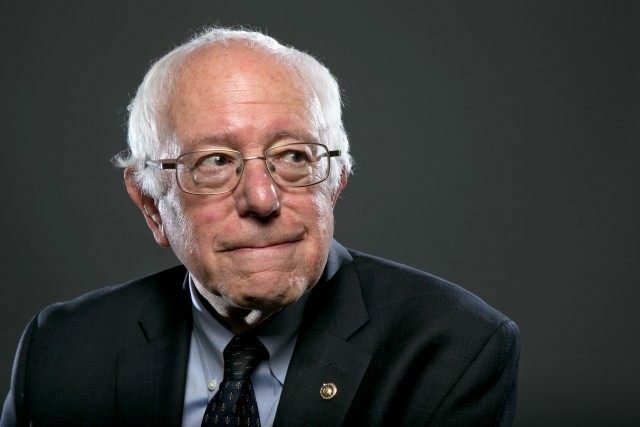 Sanders supporter and graphic artist Mario Prado told Roll Call that the pop culture celebration was the perfect place to cheer on the self-described socialist presidential hopeful from Vermont. Prado reportedly created a mural featuring Sanders decked out in steampunk goggles and holding a chainsaw and shotgun while standing resolutely in front of the Koch brothers, who barrel toward him in a Mad Max-style vehicle. Prado also handed out flyers laying out Sanders’s positions on a number of issues like health care and energy, and a number of people soon followed his lead. According to Roll Call, a woman joined him and began waving an “Occupy” flag, while another pair of costumed attendees stopped by with lightsabers swinging. “The Force is strong with Bernie. He’s our only hope,” a woman dressed as Princess Leia told the site. San Diego Comic-Con wraps up Sunday, July 12th.